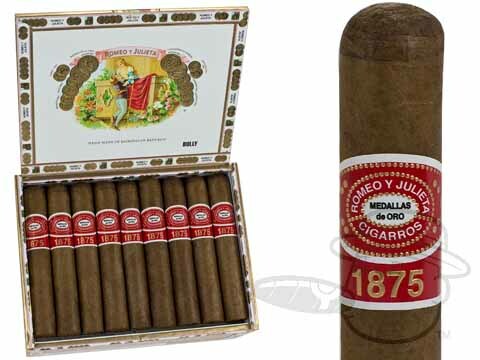 The Romeo Y Julieta 1875 Bully is tagged with free shipping. If you order this product, your entire order will receive FREE BCP Ship Saver shipping! Beautiful cigar!. So well made. Wonderful taste and aroma. I've ordered cigars from you for a few years now and this may be the best one I've had yet. I've been dealing with best cigar prices for some time, great product, always the best price, there customer service, and personal are the best. These Romeo's are good. Always delivered fresh. They burn well, usually don't tunnel, and taste good. I recommend! Or, try the handy 10-pack, if you just want to give them a try. Overall, a solid cigar that I was hoping would have a little stronger and more complex flavor. Nevertheless, a good medium length smoke and far better than most. My order arrived on time and great condition. I think it only took one to two days. punch it, don't cut it. Medium-full, even burning, smooth taste all the way through. I'd definitely buy another box. Very good smoke for the price! Great seller. This was the perfect gift for my husband. These are his favorite cigars and the bonus cigars were a plus. The draw was even throughout. Burn was good. Had the right amount of spice for me. Tried this cigar and loved it. Very smooth and mild cigar. I prefer the Churchill just because its a little longer smoke. These are a great value for a daily smoke. They are very well made, burn evenly and offer great flavor from beginning to end. Have been smoking he Bully for quite a few years. They used to be 5 star smokes. Last year or so, about half the box burns very unevenly and requires a bit of work to keep the ash even and lit. Not sure what has happened, but maybe they are not rolled as well or rolled too tight. Have been a little disappointing lately. I purchased this cigar for the past few years, and experienced consistency of quality of cigar and smoke, which kept me coming back. So much better than the last box I got from JR Cigar. What's going on? Couldnt ask for high quality cigar for price. The Romeo & Juliet's cigar has consistent quality and this size suits me in the winter as staying outside for a smoke can be a chilly time in Maryland. Haven’t got to try the Bully’s yet, but haven’t had a bad Romeo Julieta cigar yet? Typical R & J. darkish wrapper, full of spice. Burns a bit hot at end. 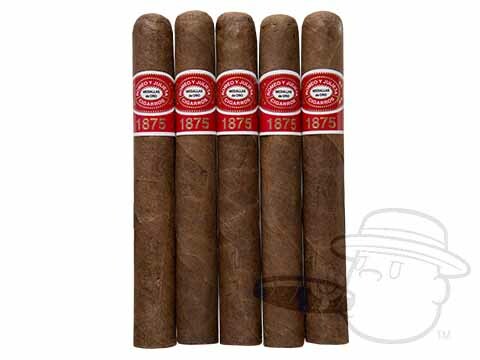 Romeo Y Julieta 1875 Bully is rated 4.3 out of 5 based on 43 customer ratings.